Keith "Buck" Ryan was born in the small Southern Highlands village of Mittagong, south of Sydney NSW in 1922. The son of a school teacher, he was later raised in Sydney and went on to study in the Engineering Trade, eventually working for the De Havilland Aircraft Company as a Toolmaker. At the Sydney De Havilland plant he was heavily involved with the very successful Australian designed and built WWII "Mosquito" fighter / bomber. 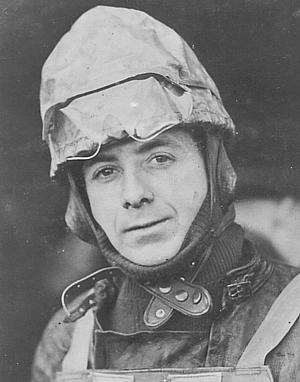 Keith enjoyed a great Speedway career both at home, in Great Britain and the Continent. He not only represented Australia in Test matches but Captained the team on many occassions in Home test matches against England. 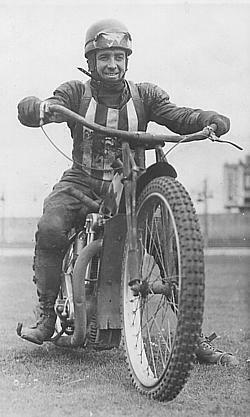 He rode for the Glasgow "Tigers" in Scotland and was a big favourite with the Scottish fans. 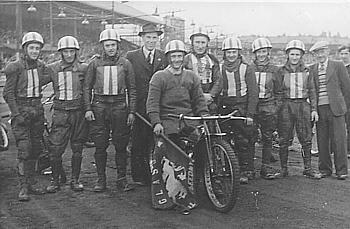 Starting his Speedway career at the Sydney Sportsground Speedway in 1945 just after WWII he was involved with the sport for the next 12 years, suffering his fair share of injuries along the way. 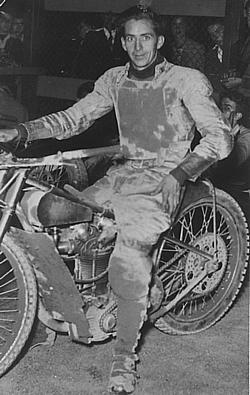 He came 2nd to Jack Parker in the Australian 3 lap title in 1951, won the Australian 3 lap Solo Championship in 1952 at the Sydney Showground from Jack Parker and Lionel Levy and won the 2 lap Australian Solo title at the West Maitland Showgrounds track, a big 1/2 miler, in 1952 from Aub Lawson and Lionel Levy. Further title results were: 3rd to Aub and Lionel in Brisbane for the ultimate Australian Solo Championship, Champion of Champions and again 3rd ( to Aub and Lionel ) in the 1953 Champion of Champions in Brisbane. Keith rates as his most admired peers, Jack Parker, Aub Lawson, Lionel Van Praag, Vic Duggan, Max Grosskreutz and Lionel Levy. In 2002 Keith is still very much interested in the juniors coming through in the sport and is an active member in the Veteran Speedway movement being President of the VSRA in 1994 - 95. 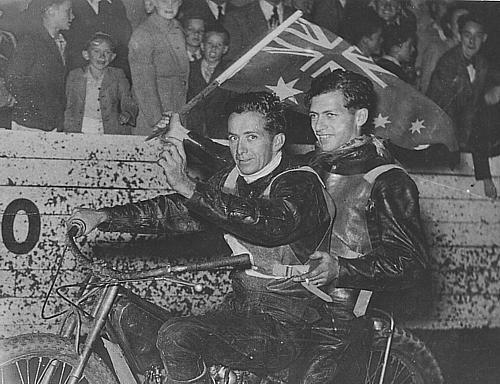 The famous showman Johnny Hoskins christened Keith "Buck" after a comic strip character in the Sunday papers, the day Keith arrived in England..
Two very proud young Aussie Test riders. 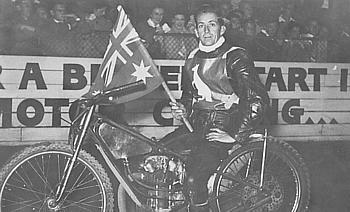 Keith doubles a flag waving Don Lawson, fellow team mate and step brother of Aub on a parade lap around the Sydney Sportsground Speedway track before the start of another test match against England in 1953. 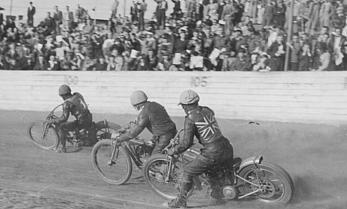 Keith, 6th from the right riding in a World Championship qualifying round at Bradford in England in 1949. Now that's a Speedway crowd !!!. 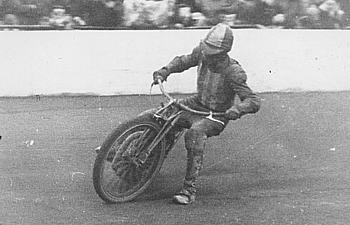 The unmistakable style of Keith Ryan seen here riding for Glasgow at Bradford Stadium, England 1949. 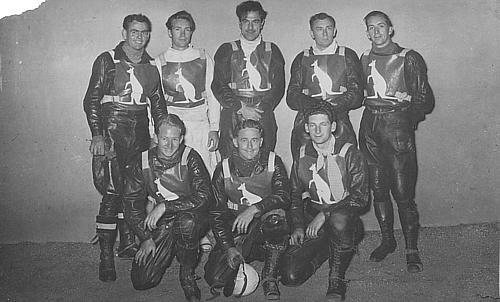 Keith is far left, Ian Hoskins, son of Johnny 4th from left, Aussie "Junior" Bainbridge 1st rider on far right. Keith joined the Tigers in 1947. 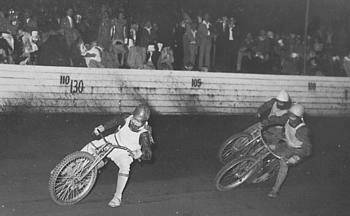 In white, Keith is riding at Rotterdam in Holland. He represented Scotland against Holland in some challenge matches in 1949. 3 different on bike "still" studies of Keith. 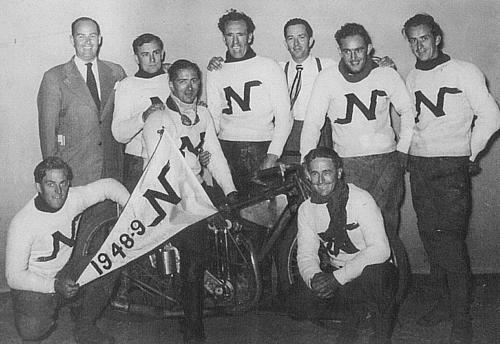 A 1948 - 1949 Newcastle ( Australia )Team. L to R: Back Row. 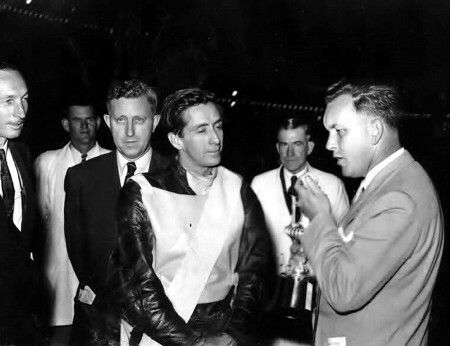 (Man in suit unknown) Bill Melluish, "Wild" Bill Rogers, Promoter Harold Light, Cliff Watson, Keith Ryan. Front Row. : Arthur Payne, Norman Parker ( Jack's brother ) on bike and Aub Lawson. 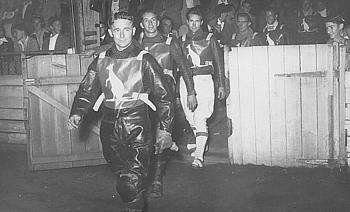 Test Captain, Aub Lawson proudly leads the Aussie Test Team out through the Pit gates at the Sydney Sportsground Speedway on that fateful night of the 5th January 1951 for the 2nd Test of the 1950 - 51 series. 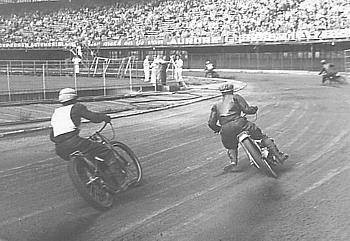 In the last lap of the last heat Ken Le Breton, pictured here just behind Keith Ryan, lost his life in a crash with England's Eddie Rigg. 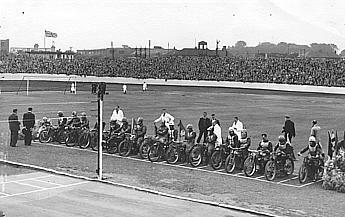 The Australian Solo Test Team - Sydney Showground Speedway - 1st Test with England - Saturday, December 16th 1950. Crowd 20,000. Australia won 63 to 45. Back Row L to R.: Noel Watson, Ken Le Breton, Lionel Van Praag, Bill Melluish, Keith Ryan. Front Row: Graham Warren, Aub Lawson ( Captain) Allan Quinn. Test Captain Keith with Aussie flag. Keith rode in 16 Test matches for Australia from 1950 to 1953, riding as team Captain 5 times. 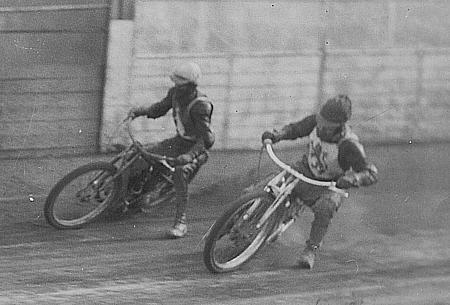 Keith leads Lionel "Porky" Levy in a match race at the Sydney Sportsground. "The White Ghost" Ken Le Breton leads Keith with Aub Lawson outside rear. 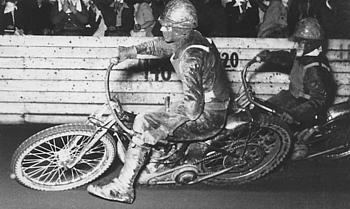 Keith rides outside the man that he said was " the most consistent Speedway rider in the world". 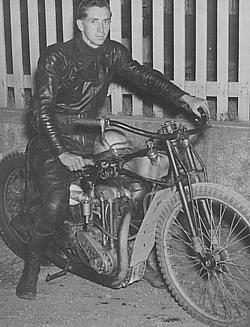 English Test Captain and probably the greatest Englishman to ride a Speedway bike, Jack Parker. I think Keith looked up to Jack as the greatest rider he had ever ridden against. Keith in the lead sporting the Aussie Test jacket, at the Sydney Sportsground. 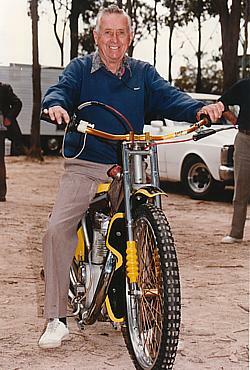 I took this photo of Keith in 1997 sitting astride a classic bike he had just restored. It's at a Veteran Riders' track day at Barleigh Ranch, NSW. KEITH RYAN, a true Aussie Speedway legend, a man I am very proud and very honoured to be able to call a friend. THANKS FOR THE GREAT MEMORIES, KEITH......................Brian. 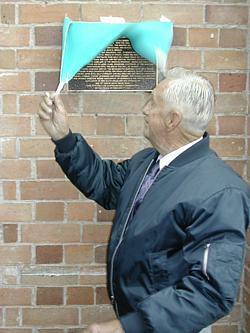 18th May 2003 and Keith has the honour of unveiling the commemorative plaque at the old Maitland Speedway site in NSW. 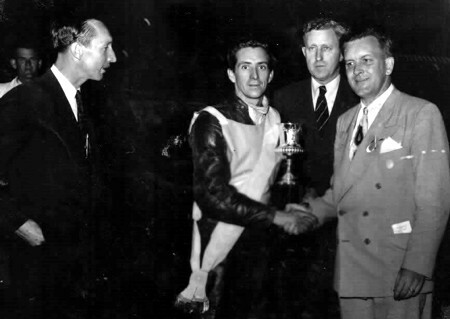 Keith won the 2 lap Australian Championship at Maitland on the 9.2.1952. (2014) Photos from Kevin Rae. 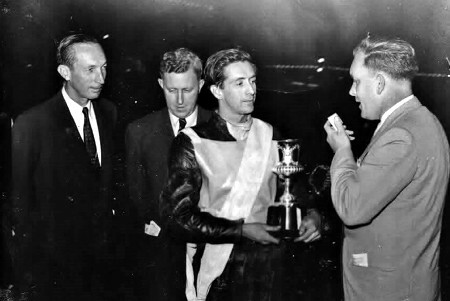 Keith is presented with the 3 lap Australian Solo Championship trophy at the Sydney Royale in 1952. Frank Arthur (left) and John Sherwood (2nd from right ) look on.